The general impression of Medicaid, called Medi-Cal in California, is that it is health insurance to cover for poor families. However, while it has historically served this purpose, the majority of spending since 1965 pays for needed supports for older adults and people with disabilities. Indeed, nearly 70% of Medicaid spending is for this population, for persons who do not have earning capacity and have exhausted any resources they have managed to accumulate over their lifetime. They are elderly adults with debilitating conditions who have depleted their assets and have no choice but to turn to Medicaid to pay the several thousand dollars each month it costs for a nursing facility, or for less expensive supports and services needed to carry out activities of daily living in a home or community setting. They are younger people who, due to an accident or illness, have become disabled and are consequently unable to purchase the supports and services needed to carry out activities of daily living. They are the people who were born with a developmental disability, and will need supports and services, preferably in a community setting, throughout their lifetime. There are various flavors of Medicaid block grant proposals, but the basic goal is to limit federal responsibility for the expense of this program. The selling point is supposedly to reduce or even eliminate federal rules and give state government more programmatic flexibility, along with additional financial responsibility. However, the concern about these proposals is that they are in fact a mechanism to shift costs to the states, in a more or less draconian manner depending on the details. Under existing law, the federal government and each state share the cost of their Medicaid program according to a state-specific formula. Some states, including California, share most Medicaid costs 50-50, the minimum federal match. Other states receive a higher federal match. States generally decide what benefits to provide within a federal framework and then pay their share of the costs. Thus, if states are willing to increase their investment in Medicaid services, they will receive the federal match for those services as well. The essential change contemplated in the block grant proposals is that the federal contribution will be capped. The most onerous version converts the federal contribution to a lump sum, adjusted for inflation going forward. This squeezes state finances in several ways. Medical inflation is historically much higher than general inflation, so the adjustments in the federal contribution become increasingly inadequate. Also, Medicaid costs historically fluctuate with the economy, increasing when the economy tanks. A flat federal contribution, even if adjusted adequately for inflation, puts the state fully at risk for increases in the eligible population during economic downturns. Even with the existing formula, Medi-Cal costs skyrocketed during the “Great Recession” and caused the state to enact very painful cuts in services to vulnerable populations. A lump sum block grant would result in far more painful cuts in the immediate future. Of critical concern is the projected growth in the population. In California the expected growth of the aged and disabled populations currently is expected to double by 2050. The formula itself becomes all important in such a future. States like California will need to factor increasing demand for vital health supports moving forward. Far from managing health care resources with flexibility and innovation, the risk is to the rest of the state budget competing against steady and predictable increased caseloads in Medi-Cal. The less onerous version, called “per-capita caps,” adjusts the federal contribution by the number of number of persons eligible for Medicaid, so the federal government’s share of the cost would increase and decrease along with the state’s during fluctuations in the economy. But even with this adjustment, plus an adequate inflation adjustment, states will be at substantial risk if demographic shifts are not also considered. Older adults are the most expensive part of the population and their numbers are growing rapidly. If the adjustments do not take into account the higher cost of this part of the Medicaid population, states are going to be at considerable financial risk. Ultimately, of course, it is not only the state that is at risk, but it is also the people who will go without needed services when the state reduces or eliminates the services it provides. It is frightening to contemplate what will happen to these frail individuals who are forced to manage on their own if the federal funding formula provides increasingly inadequate support. The risks and the dangers of this approach have caused Congress to reject these proposals in the past. At the very least, this kind of change should be approached with extreme caution, placing the interests of our most vulnerable citizens above all else. 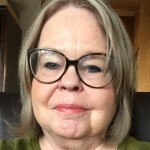 Sue North has more than 50 years of experience working in health and human services and disability policy for the California State Legislature as well as the Mayor of San Francisco. Most recently, she has been working with the California Disability Services Association on funding and policy remedies to strengthen the Lanterman Act for Californians with developmental disabilities. She joined the staff team of the California Collaborative in 2016 as a specialist assisting the Regional Coalitions in their efforts to strengthen long-term services and supports in local communities.